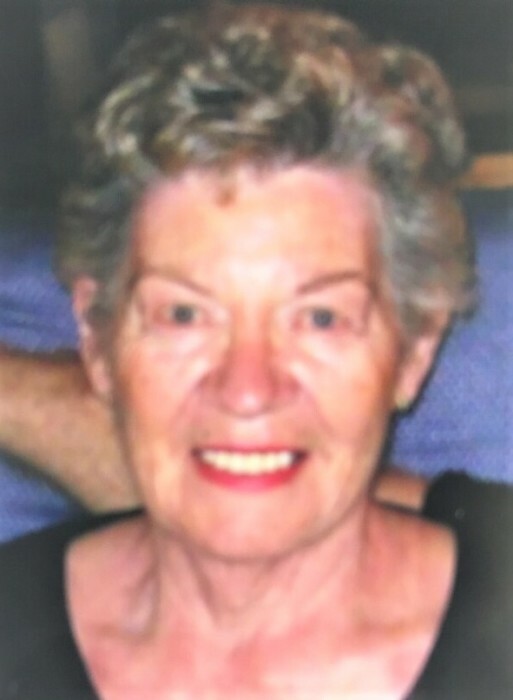 Obituary for Lois (Larson) Bruce | Magner Funeral Home, Inc.
Lois L. Bruce of Wilton, CT, a resident since 1961, died on Aug 14, 2018 at Norwalk Hospital. She was 83 years old and the wife of her late husband, Richard L. Bruce. Mrs. Bruce was born in Sturgeon Bay, Wisconsin and spent her childhood on a dairy farm. She graduated from Sturgeon Bay High School and graduated from Northwestern University, Evanston, IL in 1956 with a BA degree in Sociology and a minor in Psychology and Political Science. She was employed by Harris Trust & Savings Bank in Chicago, Smith Corona Corporation in New Canaan and Oxford Health in Norwalk. Mrs. Bruce was involved in town affairs and a Republican activist for many years. Her past activities President of the Women’s Republican Club, during which time she attended several National Republican Women’s Conventions. She was a member of the State Board of Republican Women, delegate to District and State Conventions, and delegate-at-large in the Fifth Congressional District. She served one year as co-chairman of the Wilton Republican campaign; she was campaign headquarters chairman for several years. In 1971 she was a co-founder of the Wilton Taxpayers Association. She served as Chairman of the Council on Social Services. In the 80’s Mrs. Bruce served on the Charter Revision Commission. She also served as secretary on the Council on Ethics Revision Commission. She was elected as a Justice of the Peace in 1984. Mrs. Bruce was a member of Minks to Sinks for many years. In 1976 she was the Steering Committee Chairman for Family & Children’s Services, that set up a new independent corporation. Subsequently in 1977 to 1979 she served as Chairman of the Board of Directors of Family & Children’s Aid, Inc. (now known as Family & Children’s Agency) Mrs. Bruce was also a member of the Wilton Garden Club, Wilton Historical Society, Wilton Congregational Church and Encore Club. She volunteered in the Turnover Shop and the Food Pantry. Her interests were bridge, gardening, travel and music. She is survived by her daughter, Cynthia and son-in-law Jesse Parsons, son Scott R. Bruce and sister Shirley Mueller. Her family will receive friends at the Magner Funeral Home, 12 Mott Avenue, Norwalk on Tuesday, August 21st beginning at 1PM, with a Prayer service to be held at 2PM. Other services will be held privately. In lieu of flowers, memorial contributions may be made to Memorial Sloan-Kettering Cancer Center, 1275 York Avenue, New York, NY 10065 or Norwalk Hospital Foundation, 34 Maple Street, Norwalk, CT 06850-9985.